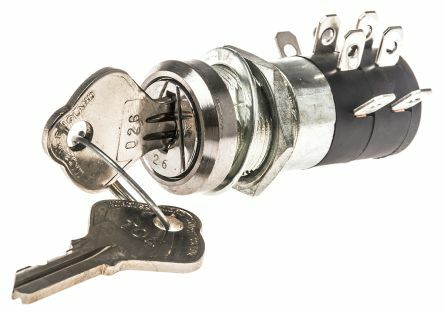 2 position with 2 keys supplied 5 tumbler lock (standard type)6 tumbler lock (high security) 2000 differsCommon key or random key profileStandard or spring return (biased)4.8 x 0.8 faston connections (hand soldering possible)Panel hole diameter 19.1. 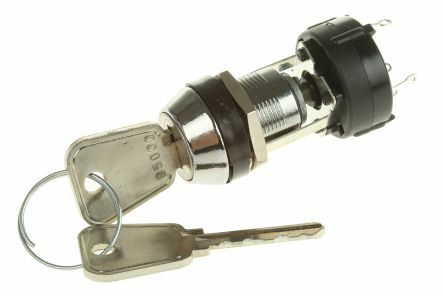 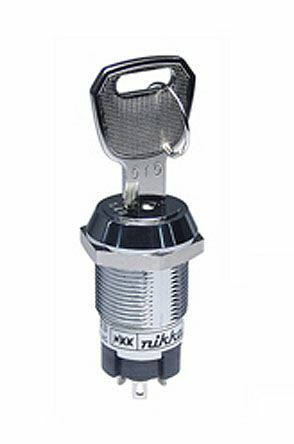 The NKK switches are designed for higher security requirements. 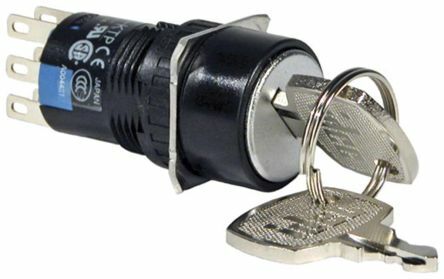 High insulating materialAntistaticHard wearing die cast housingVertically rotating switching mechanism + self cleaning sliding contactsOn-off models with tubular keys have push and lock mechanismFlat and tubular key stylesEpoxy sealed terminals.